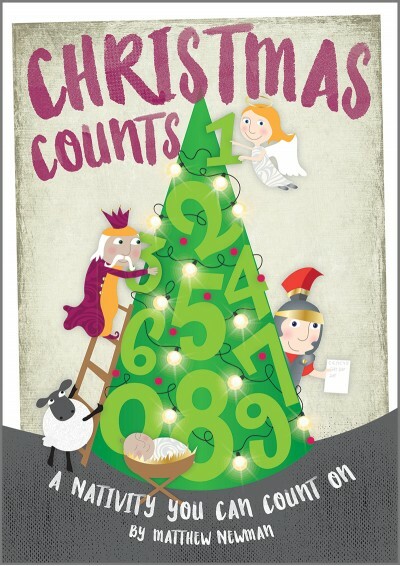 You’ll be counting your blessings with this delightful nativity musical that has 8 simple songs and a great script, easily adaptable for any performance. Let the Christmas countdown begin! Available with Words on Screen™ v2. A brilliantly inventive new musical nativity for young children – a 20 minute masterpiece of thoughtful fun! It’s the first Christmas night in Bethlehem and a group of census-takers are carrying out Caesar’s urgent decree that everyone in his empire should be counted. They count the people of Bethlehem, the wise men and their camels and nearly fall asleep counting sheep with the shepherds. Then, a countless host of angels appear with the good news of Jesus’ birth, which sends the shepherds running right to the stable to meet Mary and Joseph and one special baby. There they realise that Jesus being born shows how much God cares and how Christmas counts for everyone. There are 12 speaking parts and at least 20 non-speaking parts. The speaking parts can easily be increased if the narrator’s part is split between lots of children, the census-takers’ lines are split between more than four census-takers; and you have two innkeepers instead of one, dividing the lines equally between them. How Many People Are There In This Inn? Who Can Count The Angels? Fantastic catchy songs that retell the true meaning of the Christmas Story. Lines are taken from the songs for speaking parts. Would definitely recommend! "A brilliantly inventive new musical nativity for young children – a 20 minute masterpiece of thoughtful fun!"